Tulane set a precedent for culinary medicine curricula when it started building its courseware six years ago, he said. Five years ago, it started sharing: The program is now licensed to 39 other medical schools across the country, said Dr. Harlan, who is also associate dean for clinical services and an associate professor of medicine at Tulane. Program leaders have studied outcomes for medical students and published data from several studies. 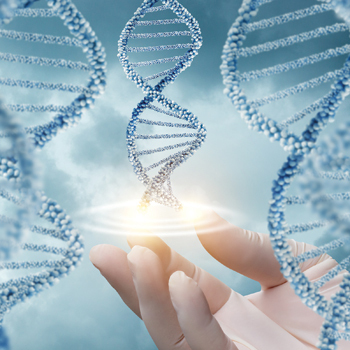 “This is an evidence-based curriculum, and we have to see evidence-based efficacy and positive outcomes just as you would with any other therapy,” said Dr. Harlan. In one study, researchers surveyed medical students to compare traditional nutrition education to the culinary medicine elective. Among 627 students (84 of whom participated in the elective), the elective was associated with 72% increased odds of reporting total proficiency in competencies for patient nutrition counseling, according to results published in 2015 by Advances in Preventive Medicine. 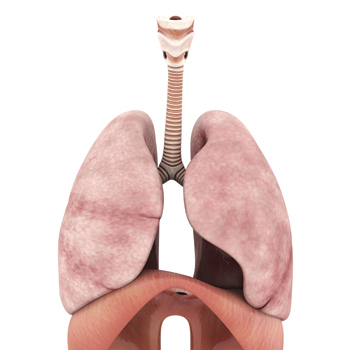 The curriculum may also affect patient outcomes. In one pilot, randomized controlled trial of 27 patients with type 2 diabetes, researchers compared outcomes after six months of hands-on cooking and nutrition classes led by a chef, a physician, and a medical student to medical nutrition therapy led by a registered dietitian. Compared to the control group, patients who took the cooking classes had similar HbA1c reduction and significantly greater reductions in diastolic blood pressure and total cholesterol levels, according to results published in 2015 by Diabetes Research and Clinical Practice. 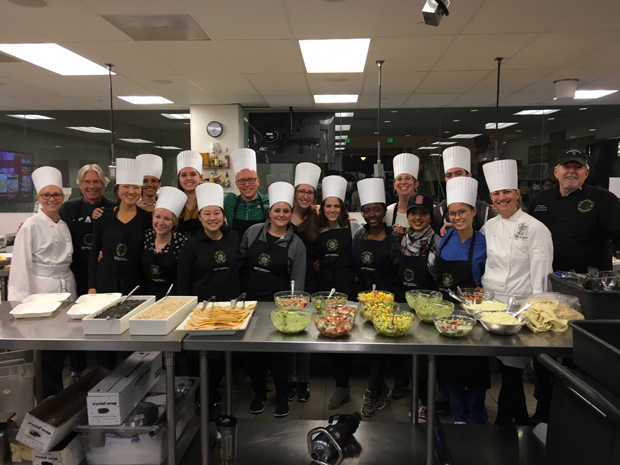 At Stanford University School of Medicine in California, Dr. Hauser teaches both in the classroom and in the kitchen, framing nutrition to be more practical, rather than just about how nutrients work in the body. A strictly nutrient-focused approach is “not how anyone in the real world talks about food, so it's not actually very useful for counseling patients,” she said. 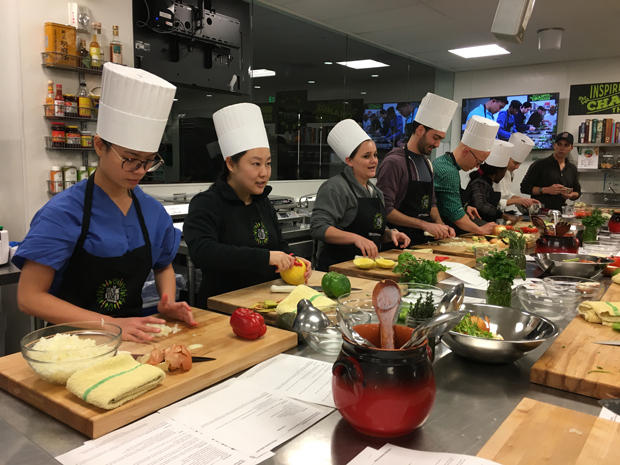 The kitchen-based Stanford culinary medicine elective, which is now being offered for the third time in the past two years, is a two-hour evening class held over eight sessions. Most students are in their first or second year of medical school, said Dr. Hauser. As course director, she runs the sessions with two other chefs in addition to periodic guest facilitators, who are usually physicians from different subspecialties, such as cardiology, endocrinology, and psychiatry. “Food is important regardless of specialty,” Dr. Hauser said. 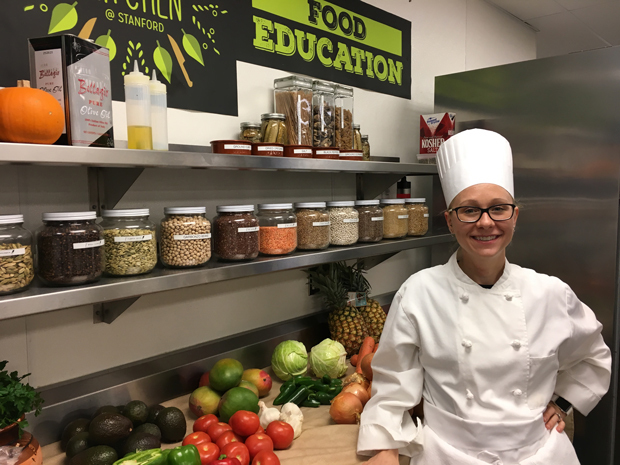 The first portion of class focuses on cooking mainly plant-based meals, since “People do not need help getting more animal products into their diet,” she said. 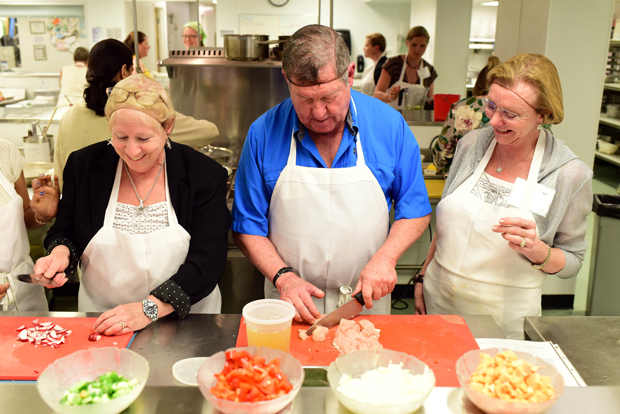 Each session has a theme: For example, students may learn to develop their knife skills before making pico de gallo, guacamole, and fruit salsa, said Dr. Hauser. Then, for the last 30 minutes, everyone sits down and eats together (that evening, students added premade rice, beans, and tortillas to make tacos), she said. 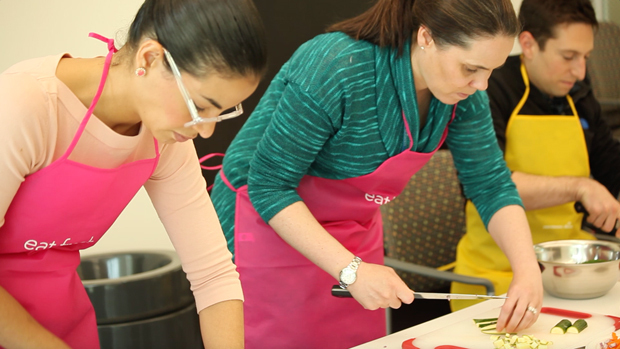 “That is where we really try to formally make the connection between what they learned in the kitchen and how they can use that with patients,” by sharing tips and case-based examples, said Dr. Hauser. Although Dr. Hauser believes more of medical school should ideally focus on nutrition, she said adding to the already full curriculum isn't always possible. “Changes that can be made more easily are to better use the time already allotted to provide more engaging, food-based nutrition education to whet students' appetites for the topic, and then offer more in-depth, hands-on teaching kitchen elective courses,” said Dr. Hauser, who is also a postdoctoral research fellow in cardiovascular disease prevention at the Stanford Prevention Research Center. Medical school is only one piece of the culinary medicine pie. Internists in practice are also finding practical ways to teach their patients how and what to eat. As a primary care physician in Los Angeles, Elizabeth Ko, MD, FACP, sees 100 patients in a busy week, many of whom have chronic diseases such as diabetes, obesity, and hypertension. “As internists, we are very good at managing these conditions with medications … but patients aren't always interested in just taking a pill,” she said. Always a food lover, Dr. Shiue started taking her hobby seriously in 2009 when she began writing a food blog. However, she said she didn't realize the connection to her medical practice until she attended Harvard's Healthy Kitchens, Healthy Lives conference in 2012. One week later, she taught her first cooking class to patients, and she later went on to attend culinary school and become a professional chef. 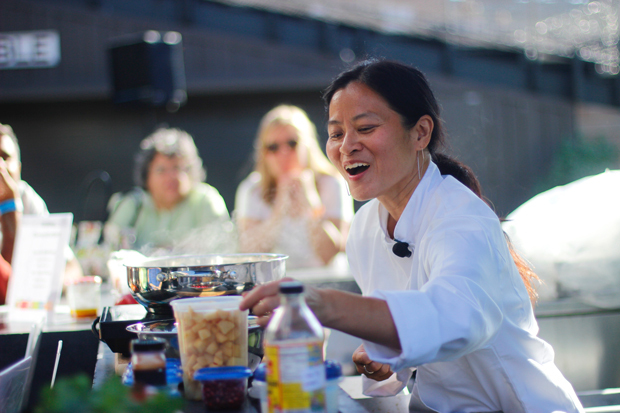 She is now director of culinary medicine at Kaiser Permanente San Francisco Medical Center. But translating healthy habits into practical advice requires simple awareness rather than formal training, said Dr. Ko, who learned how to cook by working in restaurants. 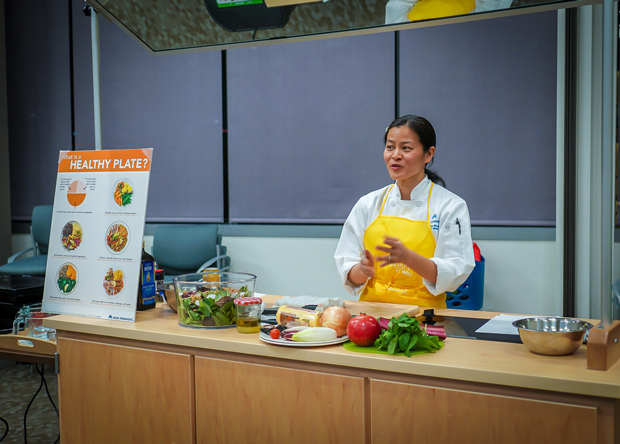 “Having a personal interest in food and cooking lends more credibility to me as an educator because I can teach patients that healthy eating is not about deprivation, but about celebration,” she said. And especially with a good rapport, patients trust and listen to their doctors. “In my own practice, I find that the majority of my patients really do honor and listen to the advice that I provide. The majority of chronic disease is caused by poor nutrition, but the good news is that the problem is also the solution,” said Dr. Ko. And because cooking is such a useful and low-tech skill, even resistant patients can change their behaviors, said Dr. Shiue. “People come on their own, but others can be convinced, and I like to see them make those changes,” she said. 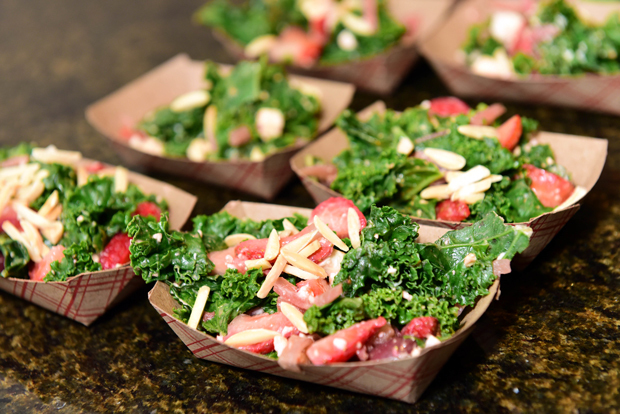 A few practical tips can go a long way in helping patients improve their food choices, and physician-chefs served fresh advice that you can offer your patients, as well as one pointer for taking your own knowledge to the next level. 1. 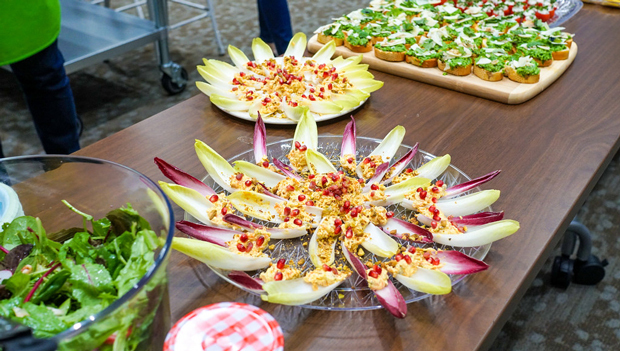 Make food look attractive, recommended ACP Member Linda Shiue, MD, director of culinary medicine at Kaiser Permanente San Francisco Medical Center. Plating food, making it look nice, and adding fresh herbs as a garnish creates a more satisfying experience than eating from a takeout box, she said. 2. Don't be afraid of fat, and make sure to include it in dishes to enhance flavor and absorption of vitamins A, D, E, and K, said Dr. Shiue. 3. Explore plant-based proteins, such as legumes, lentils, and beans, which are affordable and offer a filling combination of protein and fiber, suggested Elizabeth Ko, MD, FACP, a primary care physician in Los Angeles. “Consider it a blank canvas for you to explore with various aromatics, spices, and herbs,” she said. 4. To help absorb iron from plant-based sources, make sure to eat something high in vitamin C, such as a generous squeeze of lemon, said ACP Member Michelle Hauser, MD, MS, MPA, a California-based primary care physician. 5. 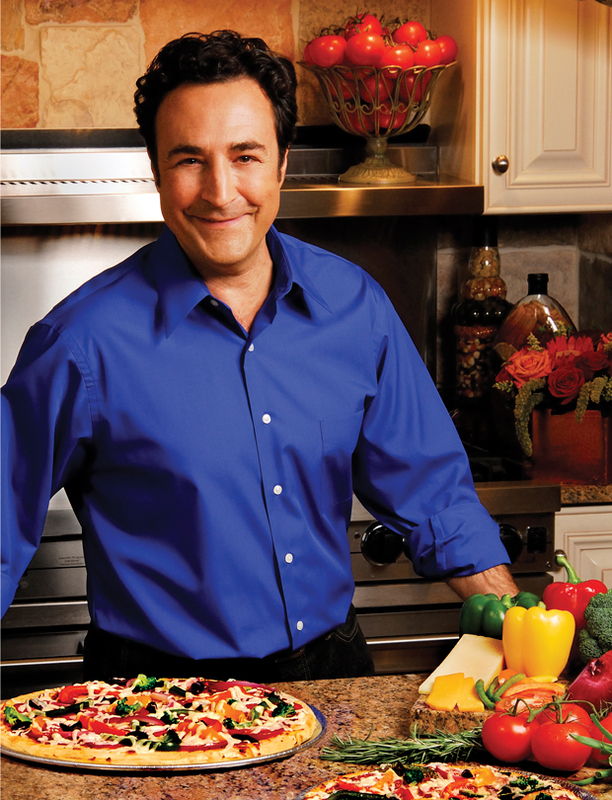 Consider writing food prescriptions for patients, recommended John La Puma, MD, FACP, a longtime culinary medicine educator. “Not only does it have authority, but it also works. It's a lot tastier than statin medications, and you don't have to go to a pharmacy to get it,” he said, adding that an easy prescription to lower LDL cholesterol by 12% is eating 35 almonds a day. 6. Changing one's environment leads to more lasting behavioral changes than relying on motivation or willpower, which come and go, said Dr. La Puma. For the afternoon vending-machine junkies, he recommends stocking a desk drawer with healthy snacks, such as nuts, fruit, or cheese sticks. Better yet: Enjoy the snacks while taking a walk outside. 8. Reading food labels is solid advice, but take it one step further by recommending an experiment, said Dr. Hauser. Next time your patients grocery shop, advise them to pick out half of their items as they normally would, the other half by carefully reading labels, then compare the healthfulness of the items when they're finished. “Of course, the healthiest items are generally those without labels, like vegetables and fruits,” she added. 9. 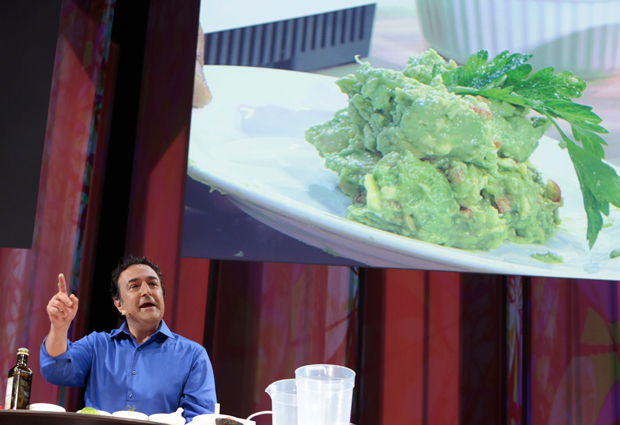 Incorporate a variety of textures into dishes to improve satiety, said Dr. Shiue. A dish that's creamy, crunchy, and crispy can improve satiety more than a mushy one, she said. 10. 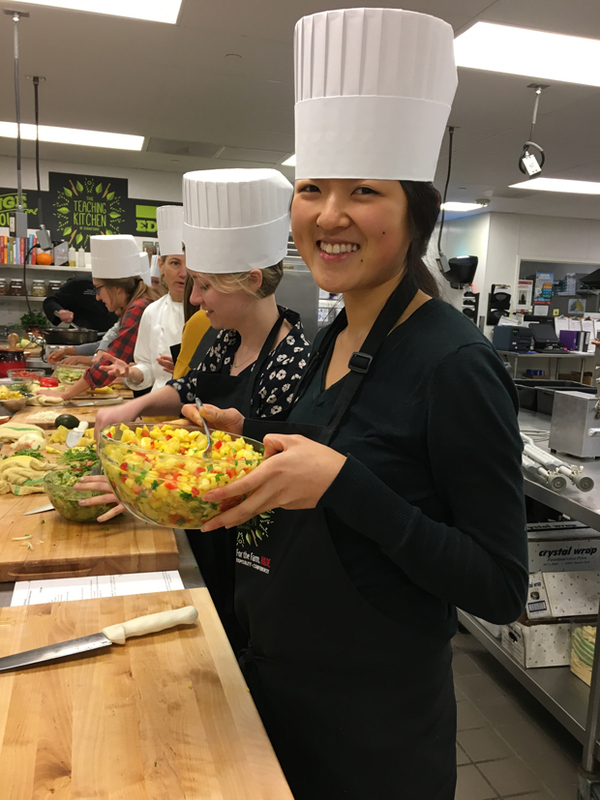 For physicians, a cooking class is a great place to start to learn useful techniques, such as knife skills, and get a better handle on counseling patients, said Dr. Shiue. 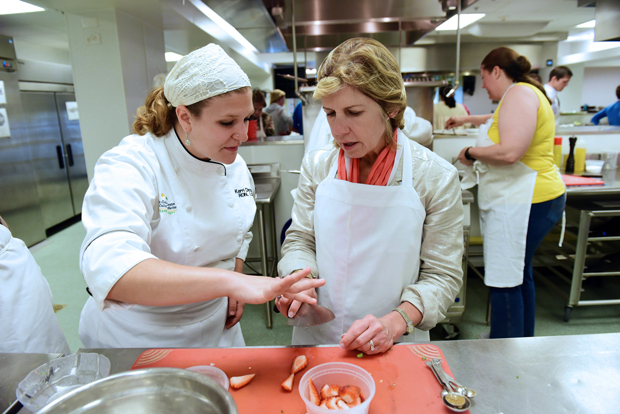 “From a practical perspective, just one cooking class could change your life,” she said.